Sites like eBay and Craigslist have revolutionized the way we buy products. Instead of going to the one electronics store in town (or the next town over, if, like me, you live in the middle of nowhere) and paying whatever they charge for a particular item, we can now get whatever we want from anywhere in the world, often at a great cost savings. However, along with the convenience of the Internet era comes the downside of the market it being flooded with less-than-reputable sellers and cheaply made products. Places like China and Hong Kong have become almost a joke on many photography websites and forums, and there is almost a strong stigma associated with anyone who purchases photography equipment from overseas. Several months ago (probably going on 5-6 months now) I was in need of a couple photography items, mainly a remote shutter release for my camera and a few other items that I cannot for the life of me remember right now. At the particular time I was in no rush to get them quickly, and I was looking to save money, so I turned to eBay and began searching for the cheapest options I could find. And, what do you know? China and Hong Kong pulled through as the champions on the lowest end of the price spectrum (yeah, big surprise there). So, I made my purchase and waited for it to arrive (like a week and a half to two weeks….way too long if you need something quickly). 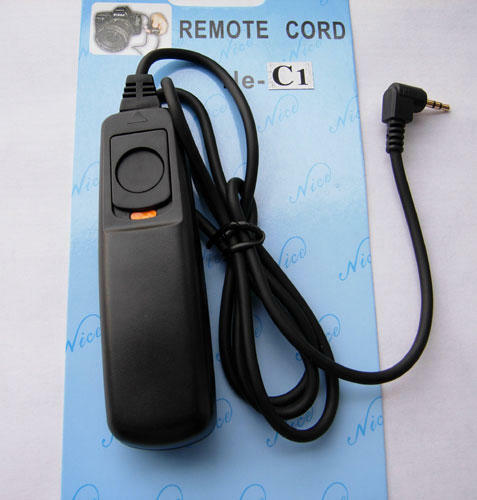 I paid about $5 (including free shipping) for my remote shutter release (similar to one pictured in this post), and I have honestly been very pleased with its simple, yet reliable, functionality so far. Will it break down one day? Sure. But whose to say that it’s lifespan would have been any shorter than a remote purchased in the US for $25? Please note: I am not advocating purchasing your equipment from China, but rather simply sharing my own experience with doing so. Do you purchase any of your equipment from overseas sellers? If so, what? What has been your experience? If you are adamantly opposed to cheapskates like myself and the act of buying from overseas, take a moment and share why. Home » Do you purchase photography equipment from overseas (i.e. Asia)?